See FAQ for more information about varieties of cheese. 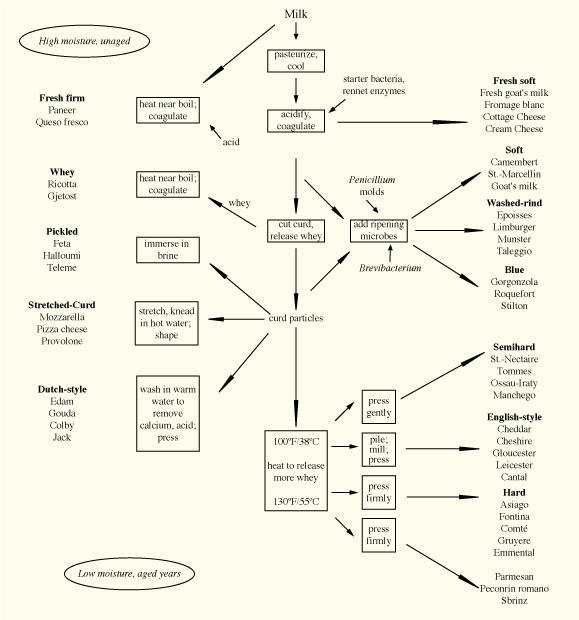 A diagram taken from Harold McGee's excellent food science book On Food and Cooking, which shows basic types of cheese and how they differ by manufacture. Click on the image to see a larger version.